This is true in general, and it’s even truer when it’s about something we use every day. That’s why email isn’t the easiest space to break into. We haven’t been using it for all that long (although it’s hard to remember “the time before” isn’t it? ), and a lot of people never switched from the original email address that came with their internet service account. This is true today (I’m looking at you, Aunt Maureen), and it was even more true in the mid-2000s when people were still getting the hang of the whole internet and instant communication shebang. After all, johnsmith@internetprovider.com does the job, doesn’t it? Anything else was just for the really technically savvy. Back then, Google was just a search engine. A damn good one, mind you, but a search engine nonetheless. It’s what they were known for, and it’s even how they got verbed (“Google it”). People were, by and large, happy with the mailbox that they got from their ISP, and if they weren’t, there were free services like Hotmail and Yahoo! that let you create an account at no charge. Remember 2004? Everyone had a Hotmail account! Google wanted in on the action, but how would they get attention, and break away from the “Search Engine only” label. Google was ready for the fight. Their email was better. Waaaaay better. Email exchanges sorted into conversations (just thinking about non-conversation email inboxes makes me twitchy), almost unlimited storage, large attachment size allowances, and integrated search functionality (“don’t sort, search”) put it head and shoulders above the competition. So the product was good… but they were still starting with no market share whatsoever. How would they spread the word? If something goes wrong with your email, it’s bad. There’s a high cost of failure associated with it; repercussions ranging from the personal (forget to pick up the groceries, send a birthday greeting to Aunt Maureen, or pick the kids up from the sitters) to the professional (missed meeting notes, looking like idiot at next meeting, and much worse). So not only is it hard to get people to change in general, but it’s even harder when you’re dealing with something so sensitive. Which means that you need to really hold their hands through the process. Talk them through it. Extol the benefits and virtues ad nauseum. You get the idea – slick copy and a few videos weren’t going to cut it. Google needed a more personal touch. Instead of putting a lot of time, effort, money and resources into convincing people to try their superior email client, Google just let the customers take care of it. They did spend some time and money attracting a few early adopters – the kind of folk who gravitate towards the best and love trying new things (all of whom were already super-comfortable with technology and Google) and gave them access to a closed Beta version. And it let them invite a few people to use it as well, if they liked. Well, boy, did they ever like! Once they got to know the Gmail interface, users were more than eager to get their friends and families using it. Being the first to introduce someone to Google was a big deal, because everyone who tried it loved the extra space, better features, etc. And everyone wanted to do that favor for their friends. After a while, Google uncapped the number of invitations each user could send, but to get an account you still had to be invited. This was true for a very, very long time. Three years. (Technically it was still in beta until 2009, but it was in 2007 that they made it available to everyone). By recruiting early users to the system, Google was able to access all of their extended networks as well. Does That Kind of Thing Really Work? I’ll be honest – I don’t even know a lot of people who don’t have a Gmail account. For a huge percentage of internet users (especially the savvier ones), Gmail for web-based email service is the go-to choice, just like Google is for search. Google has since expanded Gmail to integrate with calendars, document editing and sharing, video, maps, images and even search. Oh yeah, it worked, all right! As of January 2012, Gmail had over 350 million users and counting, and almost every single one of them is a convert from another email client. I remember the day I gave up my Hotmail account. Gmail seemed more grown-up (I got my Hotmail when I was 13), and more professional (and I was tired of people saying: “You don’t have Gmail yet?’ with looks of horror!). Three or four days in, I was sold, completely and (to date) forever. I wasn’t alone; millions of people say myfriend@gmail.com and wanted to know where they could get that email address, too. These people weren’t new to email, but rather current users who wanted better service than they were getting from Hotmail or Yahoo!. There is an undeniable allure in anything hard to obtain. If you can’t have it, all of a sudden you want it a lot more. By keeping access to Gmail in the early days limited to a select few, Google built anticipation and interest for years before officially opening the doors. When they finally did, there were enough users that @gmail.com was so common, and so well entrenched, that Gmail became a logical choice whenever anyone needed a new email address. Because they had a better product, people who were “just looking” ending up sticking around, and inviting their friends. The process is ongoing – just a few months ago I created my new Gmail addresses for my parents. They’d been using the mailbox that their ISP had given them for 15 years. You don’t have to be Google to make the allure of scarcity and quality work for you – almost any business owner can add these elements to their marketing mix. 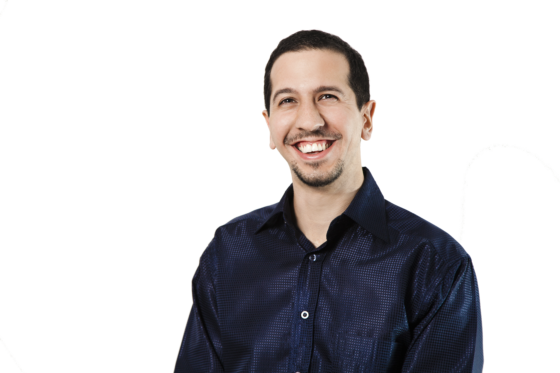 What you decide to try will depend on your business and your industry, but odds are that there is some way that you can take advantage of word of mouth. Let your customers know that you’re looking for new clients, and give them some kind of great incentive to do it. It doesn’t have to be a cash reward (it wasn’t with Gmail), but it has to be something that they’ll get a kick out of – like helping out a friend! And if you can make your offer the domain of a select “insider’s club”, so much the better! Well, Google has been following a platform strategy for years. Gmail is one of its most important planks. Yes, it didn’t want to be “just” a search engine and today that’s true more than ever. Ever since I found out about your idea of planks I’ve been seeing them everywhere – thanks for that! Thanks BP! It was a fun write! My kids have been telling me for years to come up in the grown up world. Now I will. I am motivated. I can honestly say that once you make the switch, you’ll never want to go back! Great post! I am also a hotmail convert. There is just one thing I don’t like about gmail, they nest emails together. What do I mean by this? Say you reply to someones email, (if they have a gmail address) and they haven’t replied back yet, but you need to send them another email. So you reply again to the same email. They may not see one of the emails, because it has been nested under the original email, by gmail. Other than that gmail is great. What do you think Megan? I realize that they only nest comments from the same subject line and that is my issue. I am a web/graphic designer and most of my conversations with clients are through email. I like to keep all emails from each client under the same subject line, if possible, because it is easier for me to find what I need from the emails. Instead of searching through 10 different conversations. I agree that conversation nesting is a good feature. It keeps your inbox much neater and does save a lot of space, but say I have a question for a client and they don’t reply promptly, which happens often in my business. Then I have another question for them, so I reply to the same email as the last one I replied too. Since those conversations are nested, they may not see my original question. That is all I am saying, because it has happened to me in the past. I know I am probably nit-picking at gmail, but when clients miss my questions or I miss theirs, it makes me look bad. That’s all I am saying. The good does outweigh the bad when it comes to gmail though. Thanks for the quick reply Danny. Hey Ian, actually, I know what you mean – I’ve had the same issue when corresponding with service providers or clients, on projects that involve a lot of iterations. Thanks for the suggestion. That is something I never would have thought to do. I’ll have to try it out. PS. Looking forward to the webinar on Thursday. Thanks again Danny and have a good one. See you on Thursday – I’m looking forward to it! You are so right. A waiter/friend in my favorite restaurant kept singing the praises of gmail and urging me to try it. And I am so glad I finally did! I know quite a few people who have recently made the switch, or who are going to soon – it’s kind of fun to watch someone get the hang of it for the first time! This was an interesting read, I didn’t realize there was such a history with gmail! I just joined last Summer because I liked the idea of having my email in one place regardless of my internet provider. We’ve switched providers several times and it’s always been a pain to switch email addresses. 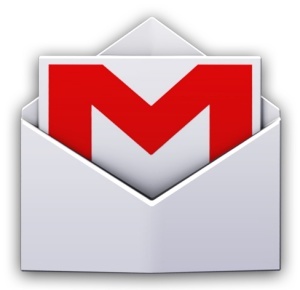 I became a fan of gmail almost instantly, it has so many great features! The threading took me a while to get used to but now I love it. I remember the days of hotmail, it was not very secure. I had an account that I lost because I logged in on a computer on my university campus and though I did logout the next person who used the computer hit the back button and had instant access to my account. They promptly changed my password and I wasn’t able to get it back. I’m glad that can’t happen with gmail! Oh, that must have been frustrating! What a jerk. I was one of those ones who got a hotmail address back in grade school – I was like 11 or something and I kept it all the way through high school and into Uni – you can imagine the spam! I’ve become absolutely dependent on threaded conversations – such a good way to keep a record. Although, as Ian mentioned above – there are some situations where it can be a little frustrating. this is an interesting and thought provoking article – and I’m with you. 1. They were BRAVE with the product. Gmail vs existing email clients is not that intuitive for people. It’s improved greatly but still with the way they thread email conversations and use the labels concept instead of folders (among other things) I think they were taking quite big and brave risk – these differences give the product differentiation but also can act as a barrier to people (I have had problems persuading non-technical people to move to gmail even very recently). So they were brave. This could have backfired on them but I’m glad for all of us that it didn’t. Probably why it has become so successful – I don’t think despite it being so different they have had any scares in terms of bugs or problems with the product. This has enabled them to make it into what it is today, despite being free because even from the start with more limited functionality, it has been pretty solid (the other products that spring to mind for me when I think of the expression ‘it just works’ are apple products). For an example of it’s power (apart from the obvious superior search facilities) – look at how gmail can now handle any number of different email accounts from any number of different providers all into the same virtual inbox, all with their own configuration setting and automatically route replies as you prefer from each account. So despite the careful marketing approach behind the scenes there was also presumably a whole lot going on we don’t get to see. I love Gmail and use it daily. Thanks for sharing this article. The point about scarcity and quality offer a timely reminder to some current marketing plans!